Our new bow footsies begin with beautiful bows on top and are balanced in the middle with pure cozy ahhh... For just a little more magic, we've made these beautiful footsies into bottom readers! "Here comes the bride" is the perfect group gift for bridal showers.This time, you'll be thrilled to be the bridesmaid! Care Instructions: 100% polyester. Machine wash. Tumble dry low. No bleach. 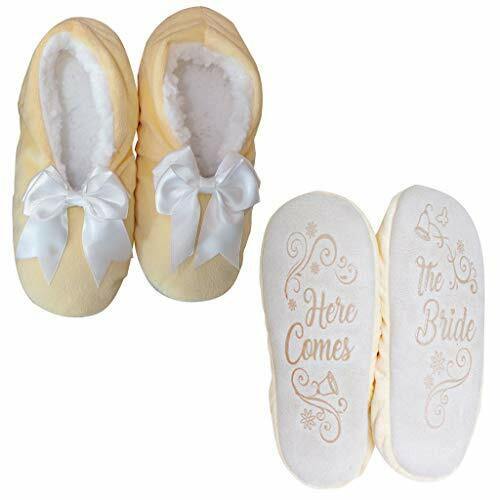 Features cute bow on top, and bottom reads "Here comes the bride"
If you have any questions about this product by Faceplant Dreams, contact us by completing and submitting the form below. If you are looking for a specif part number, please include it with your message.